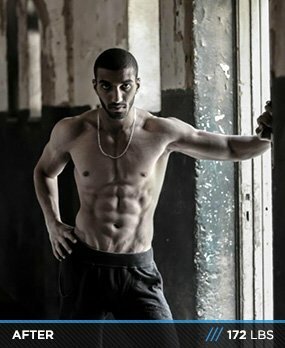 Ahmed dreamed of becoming a fitness model at age 16. 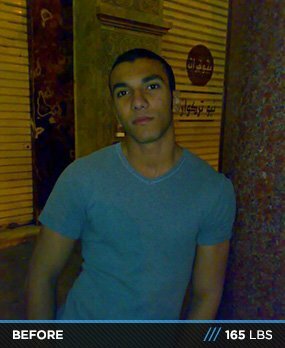 In Egypt, it was hard to find others who shared his passion, so he journeyed alone. Two years later, his bodybuilding vision is a reality! I always admired fitness models like Rob Riches, Greg Plitt, and Lazar Angelov. I wanted to look like them, so I started my transformation at age 16 with a set of dumbbells, but I didn't take it seriously and didn't know proper technique. At that stage, I was lifting mainly for sports performance. I was heavily involved in swimming, but I wasn't very good, so I focused my energy on fitness and gymnastics. I discovered that I was way more talented at fitness and gymnastics than other sports. I always thank God because he helped me find my way into fitness. I'm thankful for the friends who always motivate me when I feel that I can't continue and my body is broken down. They always tell me I have the talent and the conditioning to keep going. I just told myself that impossible is nothing and that I can do whatever I want because I believe I can. 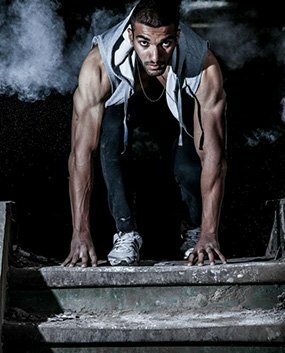 I gave it my best to achieve my dream to be a fitness model. I never had people around who were into fitness, so I went on without a mentor to guide and help me through. Because of that, I made many mistakes. In the beginning, my workouts and diet were experiments that I studied on myself. The more I did, the more educated I became about my body. Now I'm extremely careful about my food choices and workout plan, and I make sure to sleep 7-9 hours per night (those are my three points for success). On days when I thought about quitting, I found something or someone to motivate me. It was usually my close friends, parents, and my belief in God that got me through. I'm very inspired by amazing fitness models who built their history and names through sweet and tears like Rob Riches, Greg Plitt, and Lazar Angelov. I used Rob Riches blog to design my training, nutritional, and supplementation programs. His personality is extremely motivating. I wasn't good at balancing supplementation and my diet at first, but the more I researched, the more I became educated on the best system for maximal results. I want to continue on my journey to fitness success. I plan to compete in the near future in the WBFF as a fitness model. Don't go crazy with supplements. Try to master your nutrition first. If you eat the right foods at the right time, provide the required stimulus for the muscles to grow, and take enough rest and sleep to recuperate, your progress is sealed. Of course, it takes time. To those who feel this isn't possible, don't waste your life saying you can't; just believe in yourself. God makes all of us equal. Nobody is better than the other. If those fitness models or bodybuilders can do it, believe you can too and your dreams will come true. There are no shortcuts in life. To those already transforming, you can't give up because every time you stop, your hard work is gone and you become one step farther from your goal. I use everything on Bodybuilding.com to learn. There's tons of information on here that you can gain from. Don't stop at one portion of the site. You can benefit from every aspect of Bodybuilding.com.